ALA Promotions president Michael Aldeguer told Sun.Star Cebu that the Interim IBF World light flyweight champion Milan Melindo is set to face the current IBF World light flyweight champion Akira Yaegashi of Japan in March. There's no specific date and venue yet, but it was confirmed by ALA.
“No tune-up anymore. 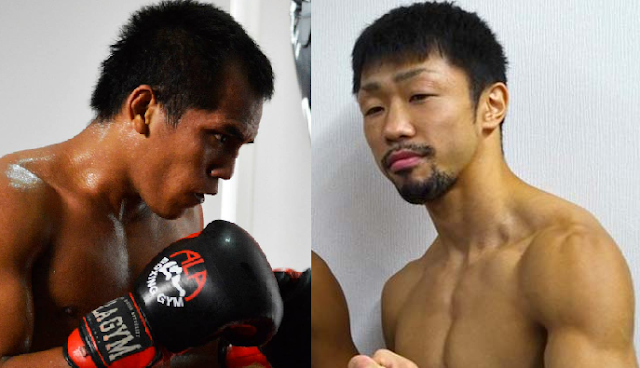 Most likely in Japan, but we’ll see if we can bring the fight here,” Aldeguer added. Milan Melindo is coming off a unanimous decision victory over Thailand's Teeraphong Utaida last November 2016 to grab the interim title while Akira Yaegashi of Japan successfully defended his title against Wittawas Basapean of Thailand via 12 round TKO. Yaegashi with the record of 25W (13KO) -5L is a hard hitting boxer defeated Javier Mendoza in 2015 via UD. Milan Melindo 35W (12KO) -2L however, is one of the smartest boxer on ALA promotion and one with the strongest chin in the division.